By clicking the Download button you agree to our End User License Agreement. 7) Support export email list to TXT, CSV, XLS and other file formats. 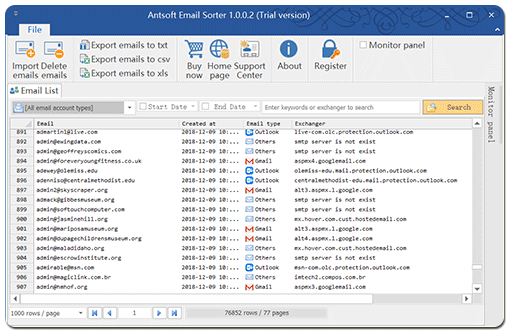 I am a women's wholesaler in Italy, Antsoft Email Sorter can help me manage the mail list quickly. It is really a great mail sorter software.